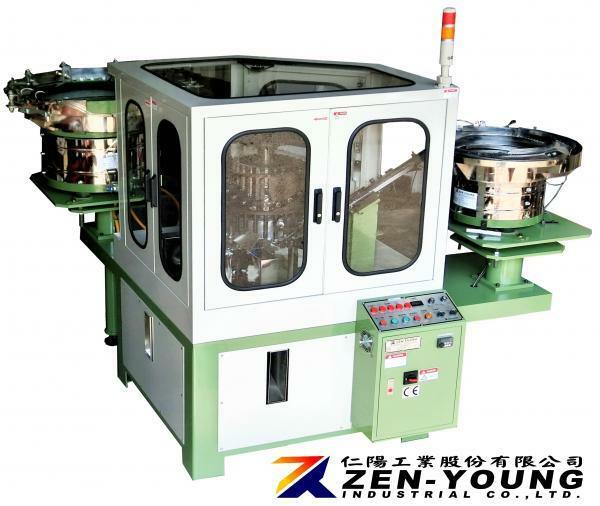 Bin Bolt & Washer Assembly Machine(ZYLB) - Zen-Young Industrial Co., Ltd.
●Assembling LDPE / Bonded EPDM Washer. ●After assembling, the washer will be close to the bottom of the screw head. Control: Programmable logic control of all movements. VIDEO - BIN BOLT 3/8" X 1-1/4"
Changing molds to assemble different sizes of bolt or washer. The continuous assembly mechanism works fast and steady. 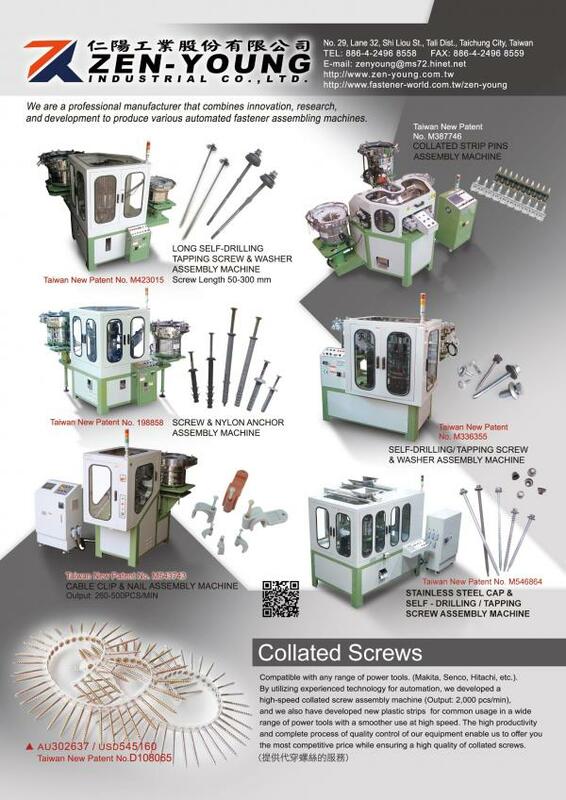 100%Sorting device for unassembled bolt or washer. After assembling, the washer will be close to the bottom of the screw head. When the supply of bolt or washer is late, the machine will stop automatically. After the feed tracks are full of bolt and washer, the machine will be automatic movement. After long-term operation, the parts low wear and tear, you can save time and money in the future for maintenance. Machine is in accordance with CE security rules.